2018 FIFA World Cup Shirts and Kit. Official Merchandise. This is the FIFA World Cup Football Shirts, Shorts, Socks and Kits store here at Soccer Box. Within this category you will find official soccer apparel and accessories for national football teams from around the globe. We are supplied directly by the manufacturer and only stock authentic football merchandise. With the Russia World Cup 2018 gone, we are now looking ahead to the upcoming tournament; Qatar 2022. This is the place to look if you are after high quality soccer gear adorned with your country’s crest. Order online and be ready to cheer on your national football team in recent or vintage football shirts. Held every four years, the FIFA World Cup hosts are chosen from across different nations. To determine who will host the event for the upcoming tournament, each nation has to place a bid for the right to hold the prestigious event, and the most successful is chosen. When it comes to the national teams who take place in the games, the pool of participants has changed vastly in recent years. After the rigorous qualification process in 1998, each finals tournament was played over a four week period and consisted of 32 teams. 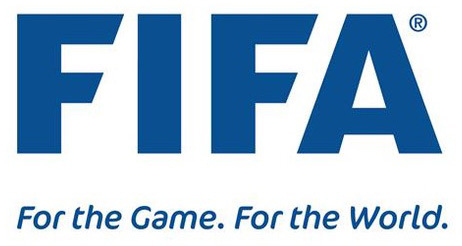 However, in 2017 FIFA announced that as of 2026 they would expand the number of participants to 48 teams. In 2010 it was announced that Russia had won their bid and were to host the 2018 FIFA World Cup. And at this time they also unveiled that Qatar was to host the following tournament in 2022. This awarding of the World Cup 2022 to Qatar is very significant as this is the first time since the 1930s that a country who has never participated in the final tournament, are actually hosting the games. Unlike most tournaments, the one which is due to be held in Qatar is certainly different. Most World Cups are held in the summer as they weather is better for outdoor matches and attendance. However, as Qatar is in a considerably hot country, their summer time will be over whelming for sportsmen and fans to be out in. Therefore, to accommodate for everyone, the tournament has been arranged for the winter time. In preparation for the World Cup each football confederation has to hold their own qualifying tournaments ahead of the games. This has to take place in order for the confederations to select their strongest teams to take their allocated places in the final tournament. However, they have not yet released how the qualification process for Qatar 2022 is going to be like, but we do know that the draw will take place in July 2019. When it comes to the eligibility for qualification, all of the 211 FIFA member associations are able to compete for a spot. But despite being qualified for the tournament already as they are hosts, Qatar still needs to take part in the Asian qualification stage. This was enforced by the AFC who will treat this round as a way of earning a place in the AFC Asian Cup the following year. And after winning the 2018 Russia World Cup, France has already secured themselves a place in the 2022 games. As we can see above, the Brazilian national team has been the most successful to date with 5 trophies to their name. This is what makes their distinctive yellow and green jerseys so popular as their historic successes are renowned. Italy and Germany are both closely behind these as they have 4 wins each. Could either of these squads bring Brazil’s top streak to an end in 2022? Why Soccer Box for the FIFA World Cup Kit? There are a number of reasons why you should consider purchasing your nation’s football shirt from us today. We are an established supplier of official soccer jerseys, strip and merchandise sourced directly from the kit manufacturers (Nike, Adidas, Puma, New Balance etc.). We also stock a wide range of sportswear for an array of clubs as well as national football teams. So you can shop our collection of gear now and fulfil your squad representation needs on both sides. As well as stocking the authentic replica kit, we aim to provide you with a wealth of information relating to the world’s biggest soccer tournament. From covering their kit designs to the team performances, be sure to keep an eye out on our blog for upcoming posts on the 2022 World Cup? Sign up to our newsletter today and be sure to stay updated with any soccer kit launches. Be ahead of the game and get your hands on the latest 2022 World Cup jersey for your beloved national team when it lands. You can also take advantage of our exclusive priority access to sales and coupon codes thanks to this newsletter sign up. Complete your registration today, it is completely free! However, if the latest styles don’t tickle your fancy, we also have a selection of jerseys from historic seasons too. So take a look at our special offers page and pick up a bargain today! These are great for shirt collectors and those on a budget as national teams always stick with the same colour schemes, so jerseys never go out of fashion. The only changes you see over the years are the addition of detailing and the swapping of manufacturers. So whether it is an England football shirt, Brazil jacket, Germany training top, Mexico jersey or an Argentina cap that you are looking for, we have thousands of genuine products to choose from. We stock kids and adults sizes in most of our sportswear which allows the whole family to get involved and root for their national team. We also offer worldwide delivery options; fast secure online shopping and we are rated best in category with over 1,400 TrustPilot reviews. Should you need to speak with us before, during or after placing an order, we can be contacted by phone or email. Buy your shirts and souvenirs online and enjoy hassle free shopping with Soccer Box.